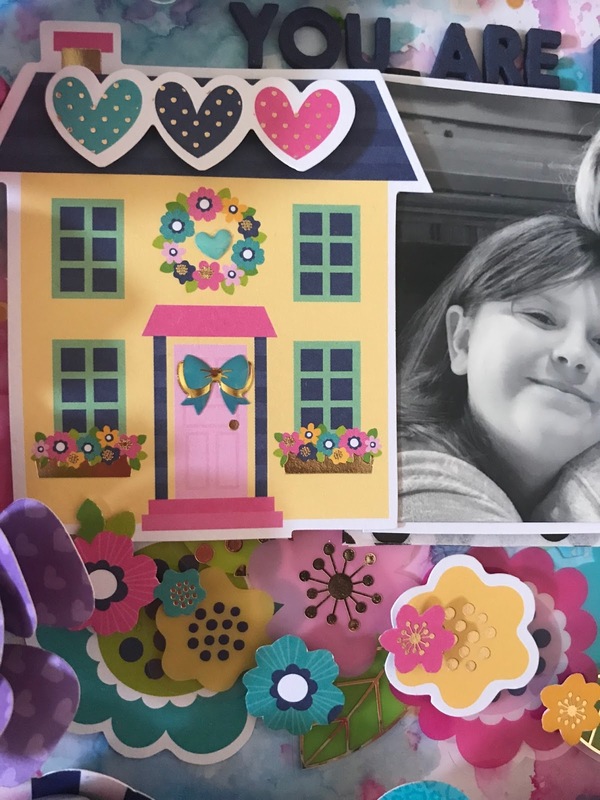 Happy Tuesday...Heather here with another 12 x 12 scrapbook layout using Doodlebug designs "Hello" collection.I love all of the colors in this collection and the "home" theme it provides. I started by spreading a layer of clear gesso on a piece of white cardstock, then "smooshed" some ink to my background with Distress Inks. After the distress ink was dry, I splattered the same ink all around with a small paint brush. For the design of my layout I actually had quite a hard time deciding what to do...so many ideas! 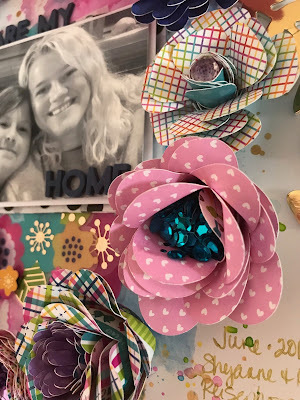 I knew I wanted to use the gorgeous flower cut files downloaded from Paige Evans. 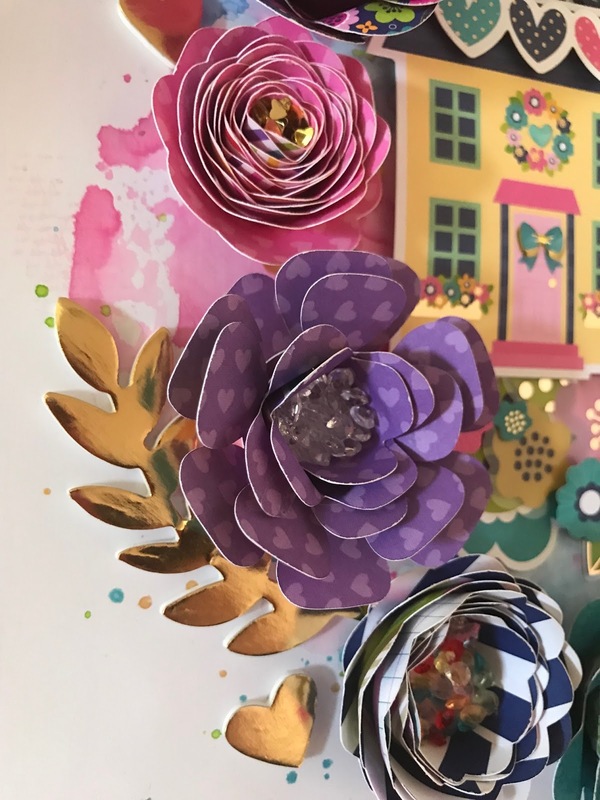 The flowers are cut from about 6x6 papers and rolled up...This was the first time I created these flowers and they didn't turn out as I had hoped, but I love the finished look. If rolled tight enough, there shouldn't be any gaps, but this was definitely a learning experience for me! You will see below how I made it look intentional! :) These flowers create so much dimension especially if the "petals" are folded and curled to make them look more realistic. After a few different ideas, I decided on a wreath shape which goes well with the "home" theme. Because some of the flowers ended up with large gaps in the center, I pulled out some sequins, gems, and glitter. I put a dollop of glossy accents in the center, then filled in the center with sparkly things. Some with glitter from my stash and some with sequins and gems from Pretty Pink Posh. 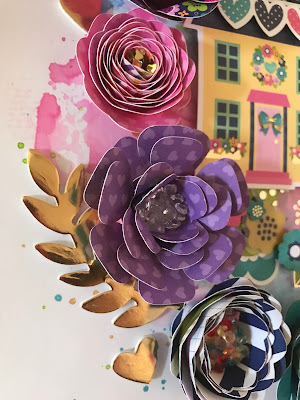 To add texture and gold to match the embellishments, I added some hearts and leaves foam stickers from Pink Paislee's Take Me Away Thickers. The cute little matching enamel stickers are the perfect finishing touch. 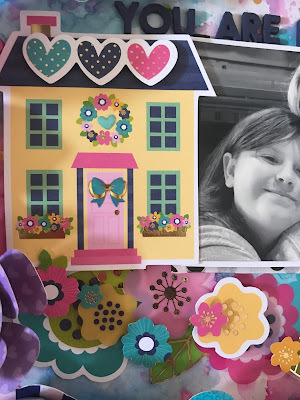 The tiny hearts are from the Doodlebug Tiny Heart Shape Sprinkles and the little bow on my house is from the Hello Shape Sprinkles. 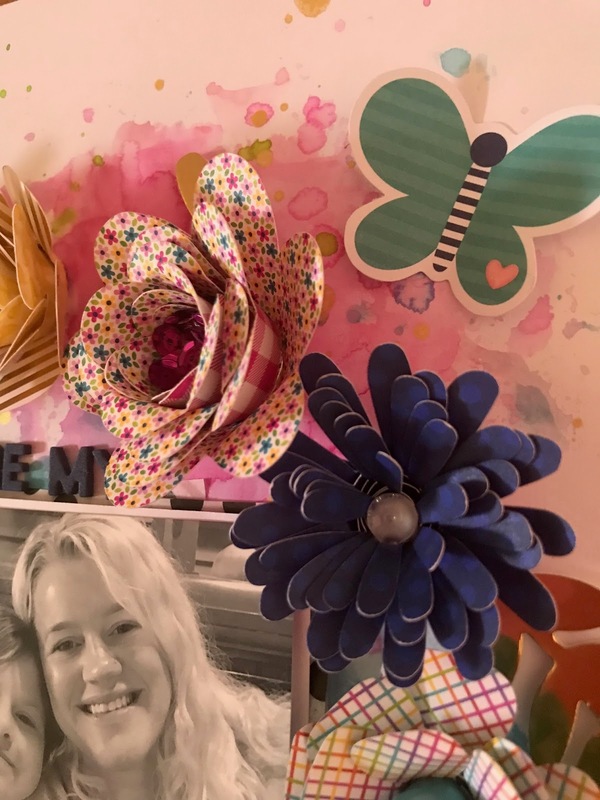 I tucked these beautiful large flowers and clear flower die cuts under my photo and popped up some with adhesive foam. 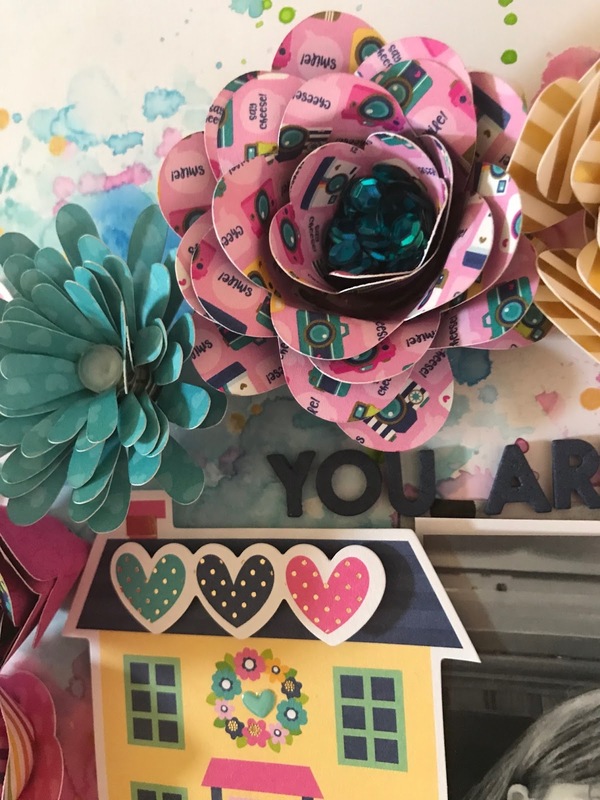 The house die cut was the inspiration for my title and used foam thickers from my stash in dark blue which matches this collection perfectly! If you don't have these, you could use any white alphas and paint/ink them to match. The foam alphas worked for me because they were small enough to fit in my wreath. Thanks so much for stopping by! 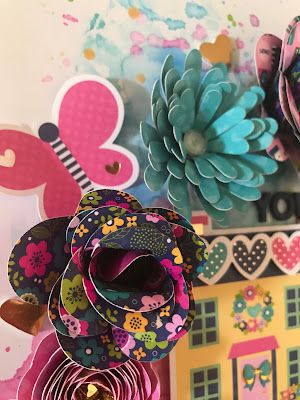 I hope this inspires you to add lots of flowers to your next project! 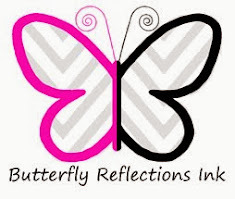 Check out the Butterfly Reflections Ink online store for these Doodlebug Designs products and so much more! I'd love to know what you think of my project. Please feel free to leave a comment or any questions. 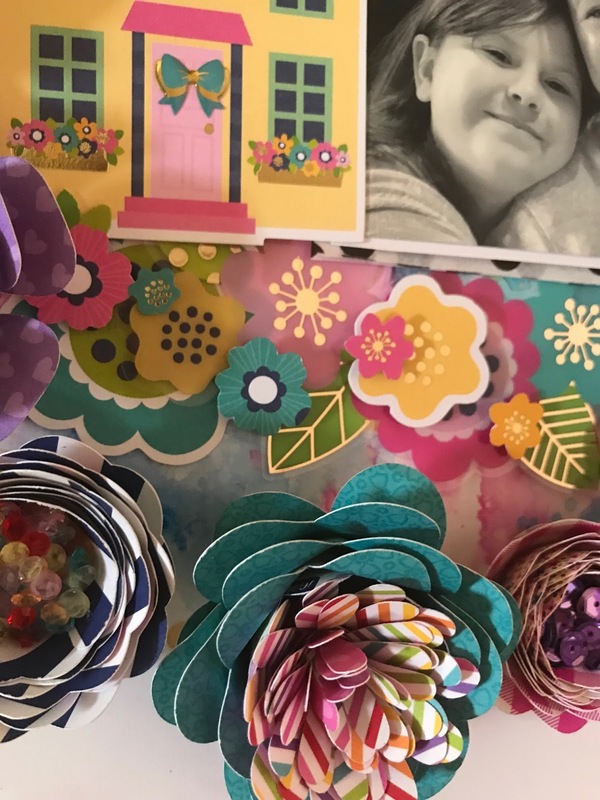 Have a great (crafty) day!